For concrete mixer, concrete mixing station and concrete mixing equipment,construction industry insiders should be familiar. But you could understand not so detailed for cement paste mixer. 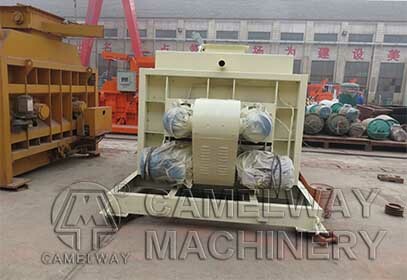 Today, Zhengzhou CamelWay Machinery will provide some information for you. (1) Should keep the place clean, inside and outside net residual slurry of mixing blade and stirring pot shall be completely eliminated after each use; clean the mortar and dirt scattered in the machine, and set on the cover to prevent falling into dust. (2) If there is a metallic noise when cement paste mixer running, should first check the gaps between the mixing blade and stirring pot is correct. (3) When the replacement of new mixing pot or blade, adjust the clearance shall be according to the aforementioned method. (4) Should regularly check the electrical insulation condition. (5) When using the stirring pot, should take put down gently, not casual fall touch, in case of deformation.